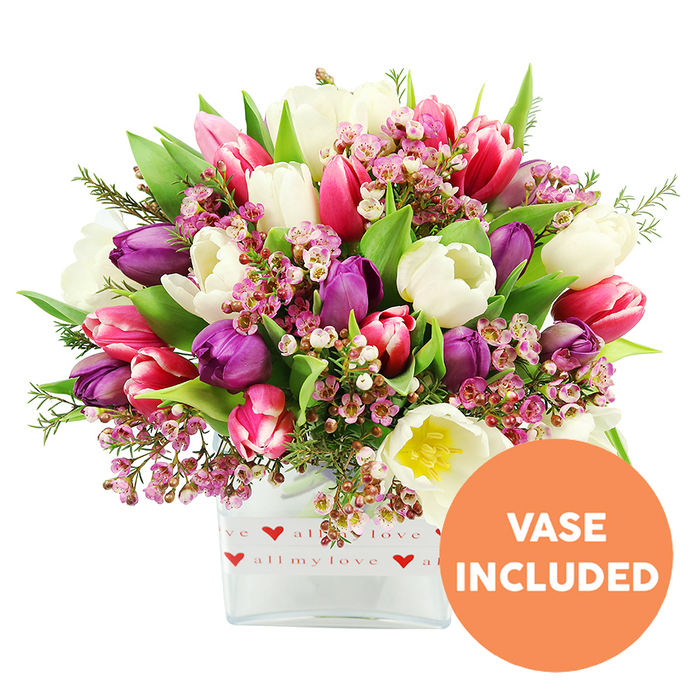 Express your deep love to your special person with this stunning, adorable and breathtaking arrangement made up of tulips and wax flowers. Vase included. Wonderful Valentine's flowers! Exceptional quality, and the high level of sophistication in the design? Unexpected yet appreciated. Thank you so much!!! Exceptional florist. Prompt and punctual flower delivery and the overall beauty of this shimmering, seasonal bouquet is guaranteed to last. Will use again.